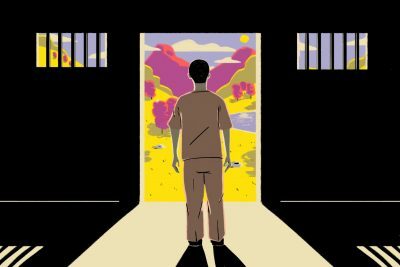 The recognition that solitary confinement can harm young offenders led to a move away from harsh punishment at juvenile correctional centers. After years of sending youths to solitary confinement for days, weeks and even months at a time, the Illinois Department of Juvenile Justice has taken drastic steps to reduce the time young offenders spend in isolation. The decision to move away from solitary confinement, or segregation, came as part of a consent decree in federal court between the department and the American Civil Liberties Union of Illinois. But top department officials also said the research was too powerful to ignore. Solitary confinement can be psychologically damaging, particularly among young people, and it has been tied to depression, paranoia, psychosis and even suicide, according to a number of studies. People with mental health diagnoses are especially vulnerable. More than 90 percent of youths in the department’s custody have at least one mental health diagnosis, according to the department’s most recent data. Nearly 30 percent have four or more diagnoses. As we reported earlier this week, juvenile justice officials said they faced resistance from some guards at the Illinois Youth Center at Harrisburg, in southern Illinois, when the department decided to limit the use of solitary. Some guards believed the move left them without a key disciplinary tool and made their jobs more dangerous. That story revealed that, since 2016, Harrisburg staff have sought more criminal charges for youth assaulting staff than employees at the state’s four other juvenile facilities combined. The underlying incidents may have previously landed youths in solitary or earned them lesser discipline. Instead, almost a dozen young men from Harrisburg are staring down adult prison sentences. While the department still uses solitary, the amount of time youths spend there has dropped. In October of 2011, the average length of time a youth at an Illinois juvenile correctional facility spent in solitary confinement was 50 hours, department data show. In April, that number was down to 4.9 hours. That is by design — and by court order. 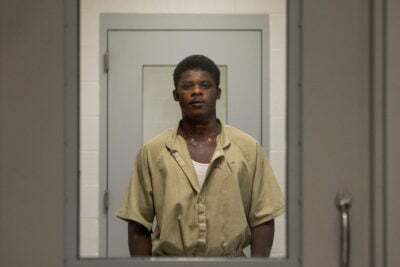 The ACLU of Illinois sued the state’s juvenile justice department in 2012 over inadequate services and treatment of youths in custody, which led to a federal consent decree and a 2014 remedial plan that called for limiting the use of solitary confinement. ACLU attorney Lindsay Miller said solitary had become a pervasive problem in the facilities. By 2015, the department had banned the use of solitary confinement as punishment. It also restricted its use to no longer than 24 hours at a time, required that youths be given time outside the room for showers and recreation and it put in place stricter reporting standards for data collection. Jessica Feierman, the associate director at the Philadelphia-based Juvenile Law Center, who has been studying the use of solitary in juvenile systems, said the agencies that have eliminated or significantly reduced the use of solitary have actually created safer facilities for staff and youths. Do you have access to information about juvenile justice that should be public? Email [email protected]. Here’s how to send tips and documents to ProPublica securely.